The Torch Parade! Now this picture, I am very sure, was taken in December of 1969. 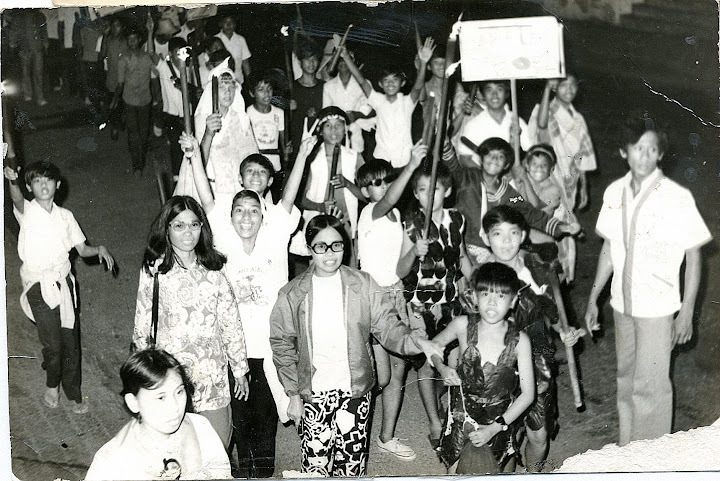 This was a DLSL activity called the Torch and Lantern Parade which started at the Cathedral of St. Sebastian and ended at the football field. Students joined the parade wearing costumes! This picture above was actually of my class and those are my classmates you see. We were in Grade 5 then, and for the life of me I do not know where I am in the picture. I know I came dressed as Bernard Bonin's Palos character, complete with beret. I must have been at the back. I asked Br. Rafael Donato years later when he was President if we could do the Torch Parade again; but by then it would have been a logistic impossibility. 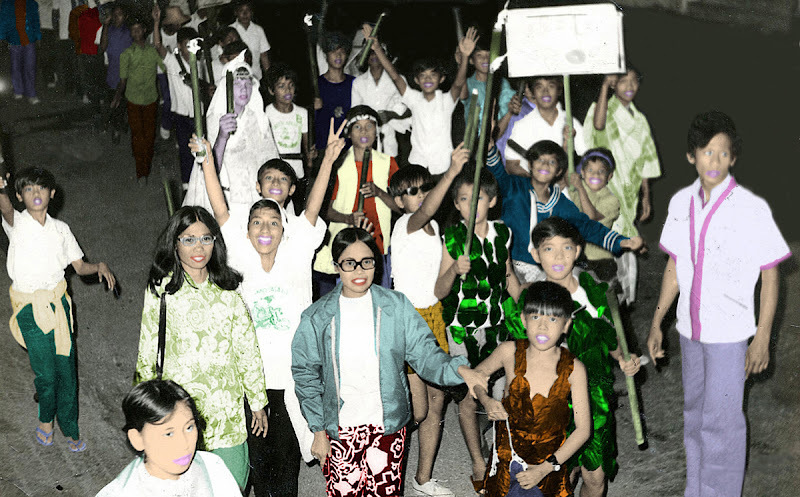 By the way, if memory serves me right, coeds from the Our Lady of the Rosary Academy used to join the parade as well. As you can see in the colourised version below, I had to do a bit of a repair job to make the picture presentable again. It was worth the bother!